I have a new found obsession with putting green lentils in salad. It started about two weeks ago when I was trying to work out a way to incorporate more substantial amounts protein into main meals, without having to always put it in the ‘central’ dish. Some meals just shouldn’t have legumes/beans/tofu etc. added to them. My sister seems to disagree but honestly could you imagine cubes of tofu stirred through a creamy mushroom fettuccine? Actually, don’t. I just did and it wasn’t pleasant. That’s where lentil salads come into play. It was a Saturday night and I was cooking for just the two of us. She had requested that I try a new pasta dish – and loved my idea of penne with tomato and onion jam. However, I was immediately in a pickle – she wanted pasta yet she also wanted protein. Was it possible to come up with a compromise and thus save my head from being lopped off by an irate sister? Thankfully it was. If we are having a dish that contains few vegetables we always have a salad or roast/steamed veg on the side. It was a salad-y kind of night (surprising due to the wintery weather we have been experiencing lately) and I was reminded of the Fennel, Rocket and Green Lentil Salad I had made a week or so ago. The green lentils worked well in that, so why not see if they held their ground a second time around? In order to go along with the Mediterranean feel of the pasta I tossed together juicy red cherry tomatoes, olives and crispy green beans, and a big handful of Italian (flat leaf) parsley, along with a few other leafy greens. The red wine vinaigrette was light and tangy, allowing the earthiness of the lentils to come through (I was concerned that balsamic may override the flavour and in any case there was already enough of it in the pasta!). All in all it was a pleasantly crunchy discovery and certainly one I will be adding to my repertoire of ‘regular’ salads, particularly for a wholesome midday lunch. In fact, pair it with a chunk of sourdough and you have a simple evening meal. I plan to continue experimenting with different combinations of green lentils in salad – I feel as though I may be onto a winner in terms of adding more protein to our diet and reducing some mealtime tension in the process! Serves one as a main or two to three as a side. Rinse lentils and cover with water in a small pot. Bring to the boil; simmer for one minute then drain. Return to pot, along bay leaf and parsley stalks and pour over just enough cold water to cover. Simmer over a very low heat for approximately 10 minutes or until tender but not mushy. 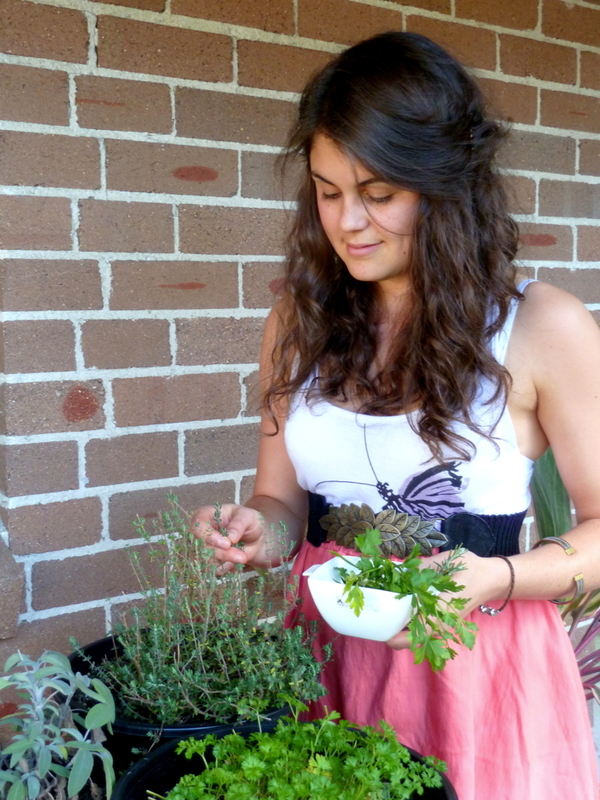 Drain, remove parsley stalks and bay leaf and transfer to a small bowl. Stir through lemon juice. Meanwhile prepare dressing by adding all ingredients to a small jar. Screw the lid on tightly and shake to emulsify. Taste and adjust seasoning accordingly. Bring a small pot of water to a rolling boil and add green beans. Cook for 30sec then remove and plunge into a bowl of iced water to refresh. Mix half of the dressing through the lentils. Arrange by layering three quarters of the lentils, the baby spinach and then the rocket on a plate/in a bowl. Scatter over the green beans, then the cherry tomatoes and olives and finally the remaining lentils. Top with the parsley leaves and drizzle over the remaining dressing. Finish with a grind of black pepper.